How Should Girls Ask to Pay on a First Date? Avoid the awkward moment when the check is resting on the edge of the table. As long as there are first dates, there will always be that awkward moment when the check comes to the table and one or both of the people on the date start wondering who is supposed to pay. Unless you established going Dutch when making your plans, someone must take responsibility for settling the bill. In a traditional dating relationship, a man asks a woman out for a date and etiquette directs the man to pay for the date. According to ''Psychology Today,'' when a man takes the initiative to lead the dating relationship, he establishes a decision-making role. The repeated action of a man leading, asking and paying for dates creates a pattern in the dating relationship. The woman in the traditional scenario assumes a following role. Many women prefer this style of relationship that gives men the opportunity to demonstrate financial status, personal ambition and potential leadership skills. The etiquette for modern dating is not as simple to pin down as traditional dating. Modern couples often elect to participate in a male-led relationship while others prefer the woman to direct the relationship. Other relationships work more in a 50-50 fashion. 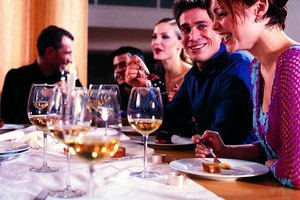 In these scenarios, it is up to the individual couple who pays for the dinner bill on specific dates -- for example, one party might earn more money and like to pick up the tab or the couple takes turns paying for going out. Overall, whoever asks for the dates typically pays for the meal. 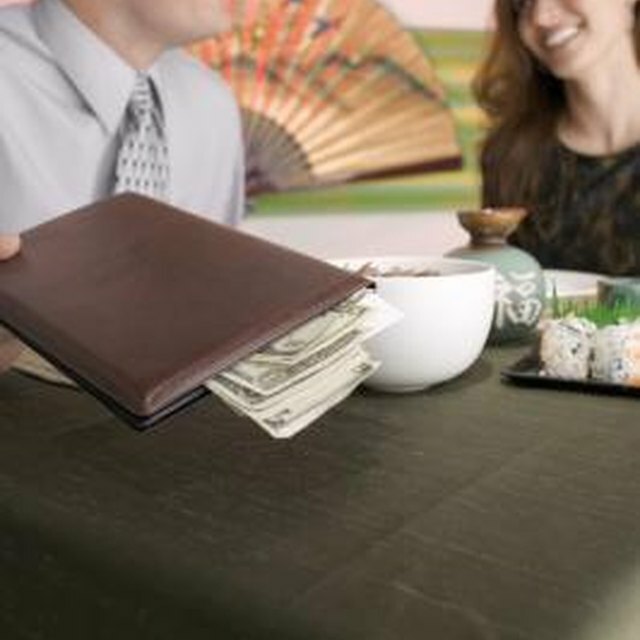 On the first date, there is no specific etiquette practice concerning who pays for the bill. Some women prefer to cover their portion of the meal, chip in to pay for the tip or sit back and let their dates pay the entire check. Etiquette expert Anna Musson, in a report for "Today," suggests settling the bill with the waiter away from the table to avoid any uncomfortable moment near the end of the date. Either way, each party should be prepared to pay for dinner just in case the other does not have enough money to cover the bill. As a couple progresses in a dating relationship, the dynamic can change regarding who pays for the dates. Some women may prefer to step up and assume control of asking and paying for dates, and other couples share the expense of going out for a good time. An equal relationship leads to shared power and control of the relationship. After dating for a while, understanding each other’s financial situation helps determine how dates are paid for. Psychology Today: Who Should Ask and Pay for a Date? Do Guys Think It's Awkward if You Tell Them You Like Them? What if Your Boyfriend Wants to Date Others? Dyke, Kimberly. "Dating Etiquette on Who Should Pay and How to Settle the Bill on a Date." Synonym, https://classroom.synonym.com/dating-etiquette-should-pay-settle-bill-date-8943.html. Accessed 21 April 2019. 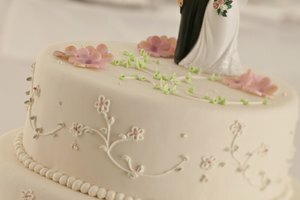 How Often Should a Man Call a Woman in the Beginning to Show He Is Interested?